While San Diego mixed martial art fighters study everything from boxing to Muay Thai, Brazilian Jiu-Jitsu is the skill that started it all back in the 1990s when Royce Gracie won UFC 1 with a rear choke. These moves evolved from Kodokan Judo, so many Jiu-Jitsu and Judo holds and chokes are similar. Learning a few solid chokeholds at a San Diego Brazilian Jiu-Jitsu gym is a good idea for any cage fighter, and here are just a few to consider mastering. One of the key advantages of chokeholds is how quickly you can gain control of your opponent. If your opponent cannot breathe, such as with an air choke, they might be able to struggle and get free, but they might also tap out if they cannot escape the hold. A blood choke is an even more effective tool, rendering the other fighter unconscious in as little as four or five seconds. The blood choke sounds horrible, but really is just an application of pressure on a specific vein or artery and does no permanent damage. Not only is it a great fighting technique, it’s a great self defense technique because it’s quick and easy to apply. Learning a triangle choke is an excellent idea because it gives you a tool use for those times when your opponent has forced you onto the mat on your back. Your legs form a triangle position around the neck of the opponent, also locking an arm. In addition, if properly applied, this is a blood choke and will cause your opponent to lose consciousness if proper pressure is placed on the carotid artery. Royce Gracie taught this skill to Mel Gibson who used it to overcome Gary Busey during Lethal Weapon, one of many popular Jiu-Jitsu movies. One chokehold that is often seen in MMA fighters is the rear naked choke, and this has been successfully applied by many top fighters, such as Matt Hughes and Anderson Silva. There are two slight variations of this choke. You attack from behind and wrap one arm firmly around the throat of your opponent and then clasp both of your hands together to secure the choke. You also can grab onto your bicep and secure it that way. This is a blood chokehold, so your opponent should be done in just a few seconds if you are applying pressure to the carotid artery correctly. The Guillotine choke is a move that looks just as horrible as it sounds but is still an effective way to subdue your opponent. Bruce Lee was among the greats that showcased the usefulness of this chokehold, which can be used while standing or on the ground. This can be an air choke or a blood choke depending on how it is applied. If you are on the ground, you secure the opponent with a closed guard and then use your arms to encircle the neck of your opponent. If standing, you do the same thing with your arms, although both your legs and your opponents’ legs are free. Of course, while rendering the other fighter unconscious can be a big advantage, it certainly doesn’t guarantee a win. Recovery from a blood choke can occur in just a few seconds, so a fighter might be able to get up and keep fighting. So while learning chokeholds is certainly essential, you need to possess a variety of well-practiced maneuvers and escapes to ensure victory. If you are looking to improve your Jiu-Jitsu skills, we invite you to visit us. The Arena is the leading Gym in North America for Combat Sports and Martial Arts instruction. We are considered one of the best boxing gyms in San Diego, as well as having the top Judo and Muay Thai training available. Sign up for your free membership trial today! While perfecting your Brazilian jiu-jitsu moves is not necessarily the fastest way to win in the MMA arena, this form of martial arts definitely has some key advantages over other fighting styles, such as Muay Thai fighting or perhaps boxing. It is important for all MMA fighters to incorporate a variety of styles into their repertoire, and here are a few BJJ skills that are essentials for fighters. One of the key advantages of studying Brazilian jiu-jitsu is that it is particularly effective when you are facing a larger opponent, as this style of fighting offers you a skill set that relies on submission holds rather than brute force. When you study this martial art, you will learn a host of submission holds, which are divided into two main categories: Chokeholds and Joint Locks. There are many different types of effective joint locks, including arm locks, leg locks and even spinal and shoulder locks. When applied correctly, it is extremely difficult to escape from a solid lock. The most often used lock that tends to end a fight is the arm lock or arm bar. Arm locks are definitely a solid skill to possess. If you don’t think the armbar is an effective tool, watch Ronda Rousey’s last bout against Sarah Kauffman and rethink your opinion. Actually, you could really watch any of Rousey’s fights as a pictorial of the effectiveness of the armbar. Matt Hughes, Rorion Gracie and Frank Mir are just a few other top MMA fighters who have ended fights (and even broken arms) using this skill. There are many types of armbars, including the flying armbar, double armbar and helicopter armbar. Learning how to inflict some type of armbar is an excellent idea, and it also wouldn’t hurt to learn how to escape from this move either. The chokehold is another excellent way to pursue an advantage in the arena. Basically, what you are trying to do when applying a choke is to cut off your opponent’s blood flow or oxygen. There are, of course, dozens of different chokeholds, but the ones that seem to be the most effective in MMA are the rear naked choke and the guillotine choke. The rear naked choke was a highlight move in UFC 1 in the fight between Royce Gracie and Ken Shamrock which ended in less than a minute. For a gruesome example of a well-applied guillotine choke, check out the 2007 IFL fight between Dan Miller and Dave Phillips. Of course, there is much more to learn about Brazilian jiu-jitsu than chokes and joint locks. You have to learn how to escape from holds, how to get your opponent to the ground and all of this takes time and practice. Eventually, you probably will find one or two submission holds that really work for you during fights, and you will spend many months perfecting these helpful skills. If you love the world of San Diego Brazilian Jiu-Jitsu and spend your free time practicing techniques and training, you might also want to spend some of your downtime enjoying movies that feature Jiu-Jitsu prominently. Not only is it great entertainment, it can inspire you in regards to your own training. While you might think that a martial arts movie would be all fight and no story, this certainly is not the case with “Warrior.” This film, which stars Nick Nolte, Tom Hardy and Joel Edgerton, is not only filled with some great fight scenes, the story is riveting. Hardy and Edgerton play brothers who have not spoken in years, much of this due to conflicts surrounding their father, a recovering alcoholic. Both have entered a martial arts competition in order to win the prize, which is several million dollars. One intends to use the money to help the family of a fallen marine, while the other is trying to save his home and take care of his family. In the end, the two brothers face each other for the grand prize. As for Jiu-Jitsu, this is the skill that the older brother utilizes in the ring, so you see some excellent BJJ scenes. David Mamet, who has a purple belt in Jiu-Jitsu, has a clear appreciation for martial arts; after all he named one of his most famous films, “Ronin,” the word for a masterless samurai. “Redbelt,” is another of Mamet’s effort and features the story of a Jiu-Jitsu instructor who resists fighting in competitions because he believes it to be “weakening.” In the end, a series of complicated events basically forces him to enter a competition. Both Enson Inoue and Randy Couture have small roles in the film. 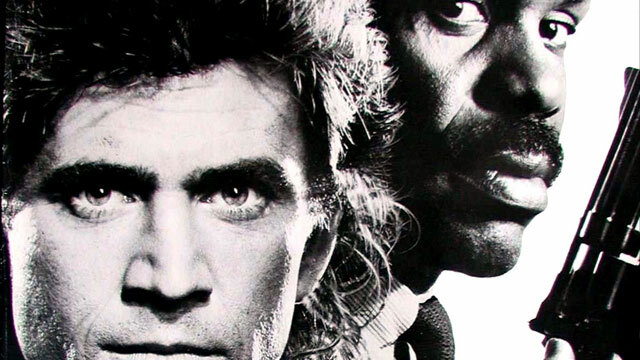 For many Americans, their first look at Brazilian Jiu-Jitsu, whether they knew it or not, came about while watching the blockbuster movie “Lethal Weapon”. During the final fight scene, Riggs (Mel Gibson) defeats Joshua (played by Gary Busey) using a very effective triangle choke. Gibson’s Jiu-Jitsu skills were taught to him by none other than Rorion Gracie, who worked on the film prior to opening the first Gracie Barra school and prior to developing the Ultimate Fighting Championship. Some movies are just not very good, but they perhaps have some parts that are worth watching. A good example of this would be “Brazilian Brawl.” While no one would argue that the Machado brothers are amazing at Jiu-Jitsu, their acting does leave something to be desired. Nevertheless, all five of them are featured in this film, so if nothing else, you will enjoy some fantastic fight scenes. Carlos Machado also choreographed fight scenes and occasionally was featured in episodes of “Walker, Texas Ranger.” So, consider watching a few episodes of that 1980s Chuck Norris classic. It would certainly be convenient if you could become proficient in Jiu-Jitsu moves in a matter of minutes, but alas, that can only happen in the movies, specifically “The Matrix.” After Neo asks, “I’m going to learn Jiu-Jitsu?” he is plugged into the matrix and later, he emerges saying, “I know Kung Fu.” He doesn’t really ever demonstrate the Jiu-Jitsu skills, but the film’s martial arts scenes are considered to be some of the best fights scenes in the history of film. 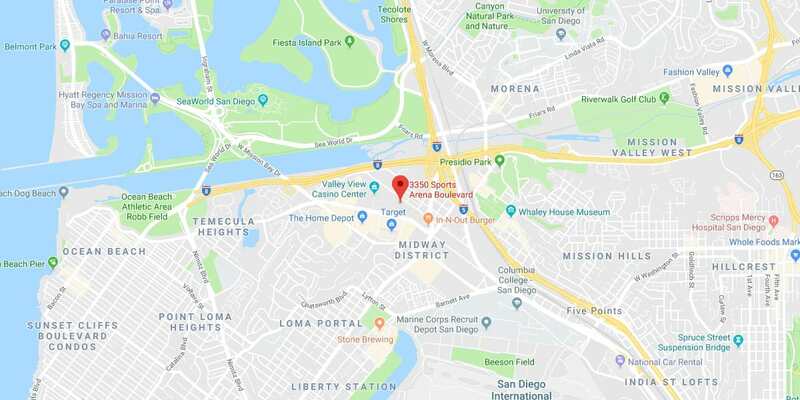 Looking for one of the best MMA gyms in San Diego? If you are looking to improve your Jiu-Jitsu skills, we invite you to visit us. The Arena is the leading Gym in North America for Combat Sports and Martial Arts instruction. We are considered one of the top boxing gyms in San Diego, as well as having the best Kickboxing and Muay Thai training available. Sign up for your free membership trial today! There are several different types of Jiu-Jitsu styles out there, and you have probably heard words such Gracie Jiu-Jitsu, No-Gi Jiu-Jitsu, Gi Jiu-Jitsu and Brazilian Jiu-Jitsu. Each of them is similar in many ways but each of them does have a few key differences. As an overview, jiu-jitsu originated in Japan as Jujutsu, a combat art where an opponent could defeat an armed opponent without using any type of weapon. The “ju” translates roughly to flexible or yielding, while “jutsu” means art. 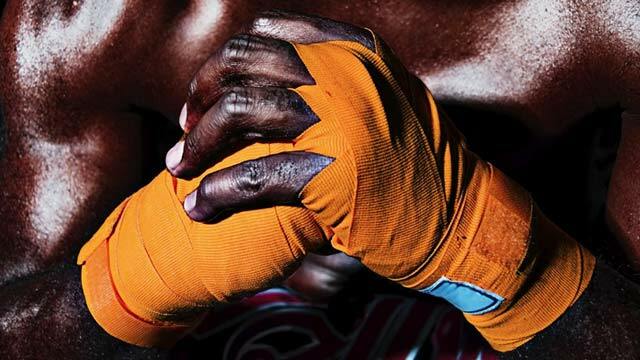 While each form of the sport is slightly different, the idea of defeating a stronger opponent with a flexible fighting approach is universal in all forms of the sport. Sometimes you will see an MMA gym that offers both Gi and No-Gi classes on their roster. There are a few key differences. One of the main differences between the two is the uniform. In Gi Jiu Jitsu, fighters wear a traditional belted uniform while in No-Gi, fighters might just wear shorts and a rash guard or a t-shirt. The uniform is different and because of that, the fighting techniques are a bit different, as well. When you wear the Gi, you can grab onto to the opponent’s uniform, which can be a helpful way to dominate the opponent while you are grappling. However, you are not allowed to grab onto clothing in a No-Gi contest, and instead must rely on skills that help you grab key areas such as elbows, the neck or the knees. In this way, Gi offers a bit more flexibility in fighting. It might seem like No-Gi Jiu-Jitsu training is less effective since you cannot hold onto the uniform. However, No-Gi is more transferable to mixed martial arts in general because you don’t wear a Gi during an MMA bout. If possible, it is recommended that you take both types of classes as they focus on different types of skills. The more skills you acquire, the better your overall game plan will be, so there is a definite advantage in being proficient in both styles. When it comes to the differences between basic Brazilian Jiu-Jitsu and Gracie-style Jiu-Jitsu, this is quite subtle. Both styles teach the same skills and you can become just as strong of a fighter at either style of gym. The Gracie philosophy basically teaches Jiu-Jitsu as a philosophy of life and a self-defense tool, rather than a competitive sport. So while there are Brazilian Jiu-Jitsu championships, there are not Gracie Jiu-Jitsu championship bouts. Neither one is better than the other, you simply have to find the style that is right for you. If you have never heard the name Gracie, you really aren’t much of an MMA fan. This family’s impact on mixed martial arts has been huge, and the special style of Brazilian Jiu-Jitsu crafted by the Gracie Family is a vital part of most fighters’ MMA training. 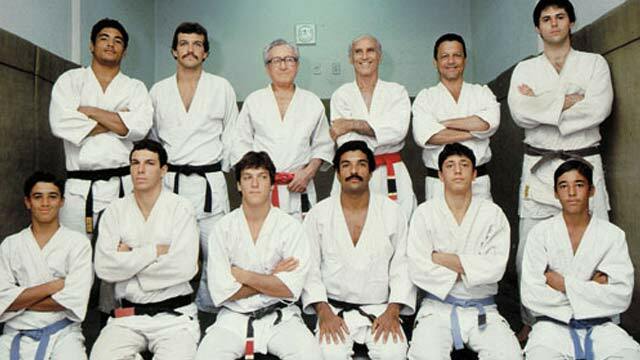 The first Gracie to enter the world of martial arts was Carlos Gracie, the oldest son of circus owner Gastao Gracie. The circus presented a series of Kodokan Judo demonstrations by Master Mitsuyo Maeda, and after Carlos saw Maeda’s performance, he asked to become a student of this form of Judo. Maeda, one of the world’s greatest fighters of all time with more than 2,000 fights in his career, agreed and taught his skill set to his eager young student. Carlos then opened a martial arts school, first teaching his brothers and then enlisting them as instructors. For Carlos, martial arts served as a way of life, as well as a way to protect his brothers from a tyrannical father. His youngest brother, Helio, was the only one who did not take part in the training, as he was too sickly and Carlos was protective of his youngest brother. However, he spent many hours watching Carlos and his brothers train students and memorized all of their techniques. One day when Carlos was late to meet a student at the gym, Helio took over and the student was so happy with his instruction that he asked to take more classes from Helio. Because of his limited physical strength, Helio was unable to use many of Carlos’ techniques. So he modified each technique to provide an advantage for a smaller or weaker fighter. Between Carlos influence on the art and Helio’s adaptation, the Gracie method of Jiu-Jitsu was developed. Fast forward a generation and you come to Rorion Gracie, Helio’s oldest son, and the one who brought the art of Brazilian Jiu-Jitsu to the United States. Rorion was born for the sport, beginning his training before his second birthday. He came to the United States in 1978 and started offering Brazilian Jiu-Jitsu lessons for free out of his garage. Eventually his brother Royce joined him, and in 1989 with more than 100 students, they moved out of the garage and opened the first Gracie Jiu-Jitsu studio. Rorion was a man with vision. Not only did he open the first BJJ school in the United States, he was also responsible for promoting and developing the Ultimate Fighting Championship along with John Milius and Art Davie. The first UFC 1 was a huge success, and mixed martial arts has grown exponentially since that first live broadcast. Rorion’s brother Royce Gracie had his own part in promoting mixed martial arts. Royce was the first UFC champ, defeating three strong opponents during UFC 1 in 1993. Royce defeated Art Jimmerson, Ken Shamrock and Gerard Gordeau to win the title. Both Shamrock and Gordeau were larger and heavier opponents, but Royce defeated each in 57 seconds and 1:44, respectively. If you want to be a great MMA fighter, learning Brazilian Jiu-Jitsu techniques should definitely be a priority. After all, the UFC is full of tough competitors that are experts in BJJ, such as Anderson Silva and the first UFC winner, Royce Gracie. Derived from the Japanese art of Kodokan Judo, Brazilian Jiu-Jitsu offers fighters many different ways to advance against an opponent and is especially useful when you are facing an opponent that is larger than yourself. The main thrust of this form of martial art consists of grappling and ground fighting. BJJ training provides a fighter with several ways to take the opponent to the ground. For example, you might see a fighter employ a pull guard technique where the fighter grips onto the opponent, jumps and wraps his legs around his opponent. A good BJJ instructor will teach a variety of takedown methods for a variety of situations. It can also be helpful to learn various takedowns common to wrestling and also Judo. Any skill that can help you get an opponent down is worth learning about and using, especially if your opponent has a longer reach or his simply larger than yourself. There are several common ground positions in Brazilian Jiu-Jitsu, including the full mount and back mount positions, as well as the guard position. These positions will help a fighter take a dominate position in the fight and then apply submission holds. A good instructor will teach a variety of the ground positions. Submission holds are a big part of Jiu-Jitsu and you will learn a variety of joint locks, which can be used to get a challenger to tap out and submit. Keep in mind that some locks are forbidden during competition because of the risk of injury. Chokeholds, and there are a variety, also can be effective and you can actually knock your opponent in a few short seconds if a blood choke is applied properly. This can be a solid way to take down a larger opponent. There are dozens of styles of martial arts, and while most originated in Asia and Europe, other countries have made a huge mark in the progression of martial arts. In Brazil, for instance, the art of Jiu-Jitsu has evolved into a premiere skill and a key component of today’s mixed martial arts fighting. While the name Jiu-Jitsu is the common name associated with the art, it truly was born out of the Japanese martial art of Kodokan judo. This type of judo emphasizes grappling as well as ground fighting combat skills, which can be huge advantage for a smaller fighter competing against someone larger or stronger. The grappling skills, chokeholds, joint-locks and ground fighting taught within this discipline very often negate the natural advantages of a larger opponent. The Japanese form of Jiu-Jitsu was introduced in Brazil in 1914, when famed Kodokan judo expert Mitsuyo Maeda was touring the world showcasing his skills. In 1916, Carlos Gracie, the eldest son of circus owner Gastao Gracie, went to one of Maeda’s expositions. It inspired him to learn the skill, and he became one of Maeda’s students. 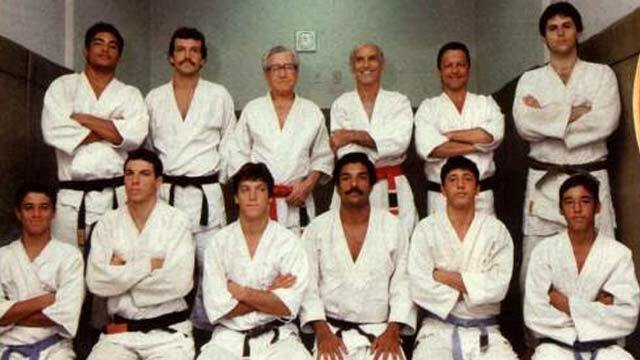 After training with Maeda, Carlos Gracie teamed with his brothers to open a martial arts academy that emphasized Jiu-Jitsu techniques. The Gracie academy opened in 1925, and the brothers began training dozens of willing students. The Gracies also held competitions, inviting fighters of any fighting style to come and challenge the Gracie fighters. In nearly every no-holds barred bout, the Gracie fighters easily beat their opponents. The advantages of learning of Jiu-Jitsu became clear very quickly, and the sport grew exponentially throughout Brazil. The Gracie’s youngest sibling, Helio, was a huge part of the development of Brazilian Jiu-Jitsu. Physically weaker than his siblings and prone to illness, he hardly seemed to be destined to become a giant in the field of martial arts. However, he spent several years simply observing his brothers teachings. His observations paid off, and when he began sparring or rolling with his brothers, his talents became apparent, and he is largely responsible for transforming Kodokan judo skills into Brazilian Jiu-Jitsu. There are many other significant influences in the art, as well, including the Machado Family, Luis Franca and Oswaldo Fadda. Royce Gracie was one of the first to bring Brazilian Jiu-Jitsu to the attention of Americans. Using his extensive Brazilian Jiu-Jitsu skills, Royce Gracie won the first Ultimate Fighting Championship, as well as the second and fourth UFC titles. From there, it was only a matter of time until BJJ became a huge part of mixed martial arts training.